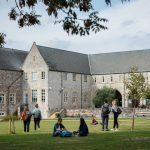 Students' blog | University of Exeter | Our team of student bloggers writing about all aspects of life at the University of Exeter. One of the really cool things about studying BSc Business at the Penryn Campus is the field trips! 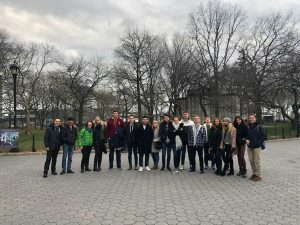 I am currently in my third year, and have just come back from an incredible field trip to NYC for my BEP3090 Research Module. The premise of the module was to perform a mainly ethnographic study on an independently proposed research topic. The idea was to give students the opportunity to observe business operation and internal dynamics in real life, in a national or an international context. On the trip, we were given access to international organisations and institutions through visits, guided tours, networking and informal interactions. For my topic, I chose to observe the ways in which different organisations brand themselves to be ‘sustainable’ and whether or not these brand images held true in reality. One of my favourite things about being on BSc Business is the wealth of fun field trips we get to go on throughout the three years. I remember when I had to choose an accommodation for my first year, all that I was looking for initially were catered accommodations, haunted by the thought of having to cook my own meals. Little did I know that being assigned to live in Rowancroft, a self-catered accommodation, would turn out to be one of a few things that I am very grateful for. 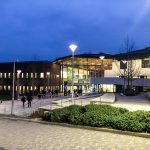 If you are comparing different uni student accommodations and are trying to learn more about what living in Rowancroft is like as a student, then read on- I’ll be sharing my personal experiences of living in Rowancroft and reasons why you might consider it! Coming to Exeter, for me, not only meant studying something that I’m truly passionate about, but also it meant moving away from home for the first time. During my undergraduate degree, logistically and practically it was better if I stayed at home. My university was just fifteen minutes away (when the traffic was not a nightmare) and it really did not make any sense for me to move away and add an extra cost to things. So even though I managed my on schedule and my own things, we all know what living with your parents is like. You can only manage so much. Living in a new environment with a different culture and climate is definitely challenging. Keep reading if you are keen for some beauty tips to help you survive the harsh winter days and the solution to the myths about British weather and living environment. Whenever I meet someone new here from the UK, the first five minutes of conversation inevitably involves the question: “Why did you come to Exeter?” To be frank, I always need a moment to pause and think back to the time when I sat in front of my laptop making my UCAS choices. At the end of Year 12, applications for universities were creeping up on us. Unlike many of my friends, I was still clueless about the degree I wanted to pursue, let alone which university. The panic was starting to set in and I decided to look up the ranking tables for Economics which was the A-level subject I really enjoyed. 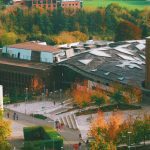 Universities like Warwick, Durham, St. Andrews and Exeter popped up and after all the train journeys, brochures and getting lost at Open Days – I put the University of Exeter down as my firm choice in UCAS. I remember being in Sixth Form in England, stressing about what universities I would place in my top two choices for UCAS. Being in third year now, I genuinely am so happy I chose Exeter. Although it sounds cliché, Exeter has allowed me to live a great student life which is probably (another cliché statement) something I won’t ever forget. Just had an exceptionally stressful exam? Finished and handed-in a lengthy and demanding assignment? Or are you just feeling a bit bored and want to do something fun in Exeter? 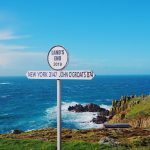 If any answer to those questions is yes, then this article is especially for you. 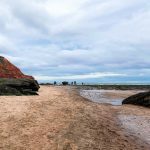 In this blog post I want to show you my favourite places around Exeter, as it’s always great to get out for a walk and explore the city. Whether you just want to let off some steam, sit down and enjoy your favourite book in the same spot that Jane Austen did or do some sports such as kayaking, then I’ve got you covered! After living in Exeter for over a year I have travelled, on my old rust (but vintage!) bike, to many interesting places. However, there are places I always love to come back to and from those I tailored and chose my favourite three. I selected places that are close to University of Exeter (I swear!) and to get there won’t take longer than 30 minutes’ walk. 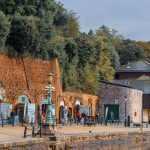 So, without further ado here is my complete guide of 3 places that you should visit in Exeter. 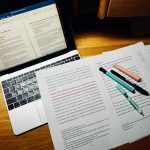 Through the midst of Christmas and New Year celebrations, perhaps some of you try to avoid the question “how is revision going?” Yet, exams are right around the corner, so I hope to help at least some of you out there who are struggling to revise and probably googling the least amount of marks you have to attain to pass the year. 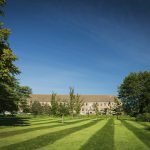 I worked at several education fairs last summer on behalf of the University of Exeter and there were a few questions that were popular from prospective students and their parents. 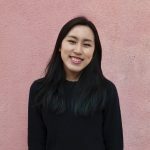 I have compiled a list of questions and answered them here, hopefully it is helpful to all international students who may be wondering some of the same things.